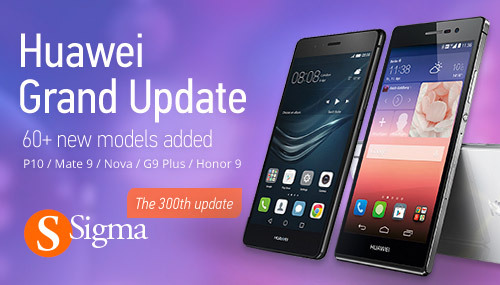 Sigma Software v.2.25.07 New Line of Huawei smartphones! 300 updates which has improved our product and made it 300 times better. the new line of Huawei smartphones.